Jeungsoo Kyeong is the CEO of Soohyun, Inc., a marriage information company based in the Republic of Korea. He established the high class Noblesse Soohyun in October 2009; signed a memorandum of understanding with the Ministry of Health and Welfare; and pushed forward large scale parties exclusively for the trades of government-affiliated organizations such as the Korea Railroad Corporation, Korea Highway Corporation, National Health Insurance Corporation, and Daejeon Government Complex. JeungSoo Kyeong has appeared on broadcasts of MBC debates for women, KBS, and on EBS, an educational TV and radio network in South Korea. Five years ago, Belinda-Jane established Clariti Group with one aim: To create and inspire businesses and their leaders to build high-performing companies that create a positive impact. As she puts it: “To create workplaces and leaders that are high-performing, successful communities that people can’t wait to be part of is an honor.” With over 20 years corporate advisory, leadership, and entrepreneurship expertise, she has served and advised on Boards and Committees globally. Belinda-Jane and her team work alongside SME’s, individual leaders, and organizations such as the Australian Government’s Department of the Prime Minister and Cabinet to build remarkable, effective, and growth-focused companies. Ahmed Rauf Essa is the person behind one of the biggest online companies in Pakistan. He started off single-handedly and now has a team of 100 plus like-minded professionals. Rajnish Kelkar has 33 years of experience in international management and operational roles in Oil, Gas, Energy and Maritime industries. Rajnish is a Chartered Engineer, a Member of the Institution of Engineers and the Institute of Marine Engineering, Science and Technology (IMarEST-UK). He holds a Bachelor’s in Economics and a MBA from Henley Business School, UK. Govind Narayan is a Manager at Deloitte Consulting, where he advises multinational clients on strategy and operations. With experience across four continents, Govind specializes in working with companies undergoing lifetime events such as mergers & acquisitions, business transformations, operational turnarounds, rapid expansion, and new product/solution roll-outs, among others. Govind was previously an investment banker at J.P. Morgan and the State Bank of India, where he was recognized as of India’s 30 under 30 Young Leaders. He started his career learning the art of software coding at Accenture. Govind has an MBA from Chicago Booth, an MBA from Symbiosis University, and a Bachelors in Engineering from Manipal University. Michael has more than 10 years experience in customer service field in the express logistic industry. He is currently looking after the Customer Care team for DHL Express Malaysia. Vannessa Patterson has more than 20 years experience non-financial risk and opportunity management within highly complex work environments and challenging cultures. She has diverse industry experience including, health services, construction, defence, resources, and labour hire. She is also a start-up director to an organisation that develops products using a consumer driven commercialisation model. A recent graduate of the University of Queensland, Business School, Master of Business Administration (MBA), which is ranked as the number one MBA in Asia Pacific by The Economist. Ashish Saxena is Vice President with Future Generali, India. He is a seasoned professional with more than 15 years of rich experience in insurance sector. He holds a MBA degree in Finance and Fellowship of Insurance Institute of India. His achievements in the field of Health Insurance has been phenomenal. From pioneering the in-house claims settlement division to defining the benchmarks for customer service in the health insurance industry. 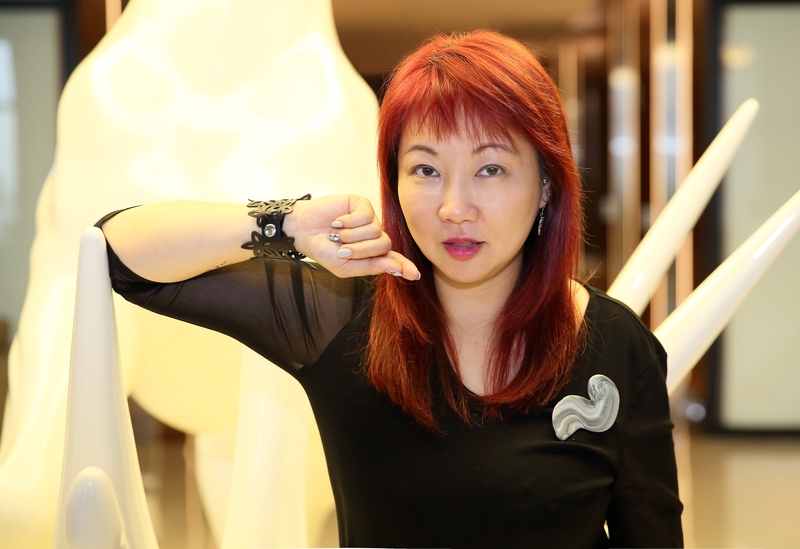 Koo-Won Suh has been professor of Advertising and Media in Hanyan Cyber University since 2006. He also has been served as a president of The Korean Association for City and Culture. Experienced Instrument and Control Engineer with a demonstrated history of working in the manufacturing chemical industry. Skilled in Maintenance Management for Kangoroo Crane, Continuous Ship Unloader, Fix Grab Unit, Remote Grab Portable, and also skilled in Information & Communication Technologies, Budgeting, Business Planning. Strong professional graduated from Institut Teknologi Sepuluh Nopember and master program from Ciputra University Graduate School of Business. Hi young leaders, my name is Agung Wicaksono. I graduated from Master of Science Collage of Agriculture and Life Sciences Seoul National University, Seoul South Korea with some academic and non-academic accomplishments. I’m passionate on environment, education, science and social research, and youth development. From these interests, I always try to connect all my activities which are related to my personal background with my future plans. Being born and raised in Indonesia, I witness how development is overly focused on economic growth. As the consequence, Indonesia has been entering an urban era with the fact of many people settled in cities. The result of this phenomenon is negative impact of urbanization, such as poverty and environmental degradation. That is why I am encouraged to have a concrete role in the Sustainable Urbanization of Indonesia by contributing long-term solutions. My interest in urban environmental studies started when I built a community development program for destitute children in slum areas from 2010 until 2016. 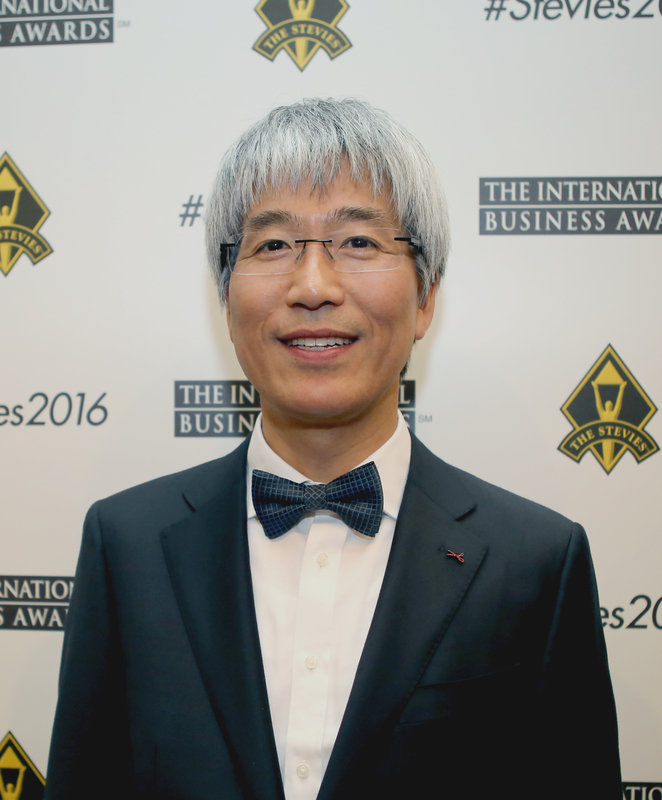 Arnold Wong is a passionate champion for delivering excellent customer service. He has enjoyed a long and successful professional career in the ever evolving ICT Services Industry for over 30 years and has developed extensive Strategic Leadership, General Management, Customer Service and Business Development skills within a variety of business industries including Technology, Education, Healthcare and Resources in public and private sectors across Australia, Asia, Europe and United States. Currently a Fellow of the Australian Computer Society, he serves as National Treasurer on the Management Committee (Board) and the ACS WA Branch Executive Committee. He has also served on numerous Community and Professional Boards. 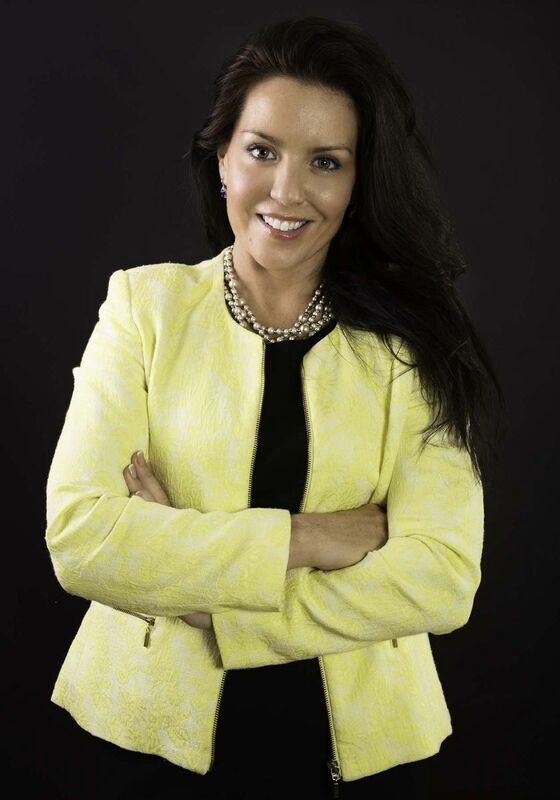 Hong Kong-born Kiri Sinclair is a highly regarded thought leader in the Greater China PR industry. She is the Founder and CEO of leading Integrated PR Agency, Sinclair, and Chair of PRHK, Hong Kong’s public relations association. A strong advocate and regular commentator for the PR and communications industry, she is also on the Board of The Marketing Society and an active advocate and member of AMEC. As agency leader, Kiri is responsible for Sinclair’s organic growth, team-first culture, talent development, and the innovative business and client strategy Sinclair is renowned for across its offices in Hong Kong, Shanghai, and Beijing. In 2018, Kiri was named PR Agency Head of the Year at Campaign Asia’s PR Awards and Agency Leader of the Year at the Mumbrella Asia Awards. 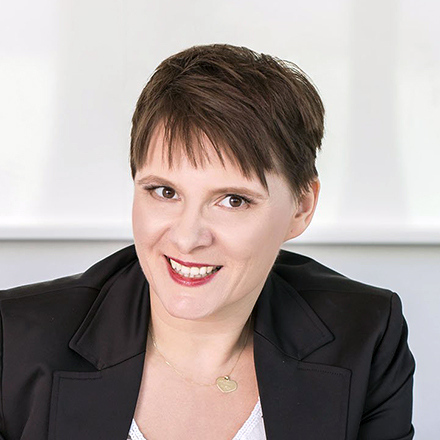 Kiri has directed and implemented PR strategies and advised clients across the luxury, consumer, corporate, and government sectors. She is an expert at developing creative brand building strategies on both a global and local level and managing sensitive issues for world-leading clients. Kiri earned her MBA from the University of Hong Kong. 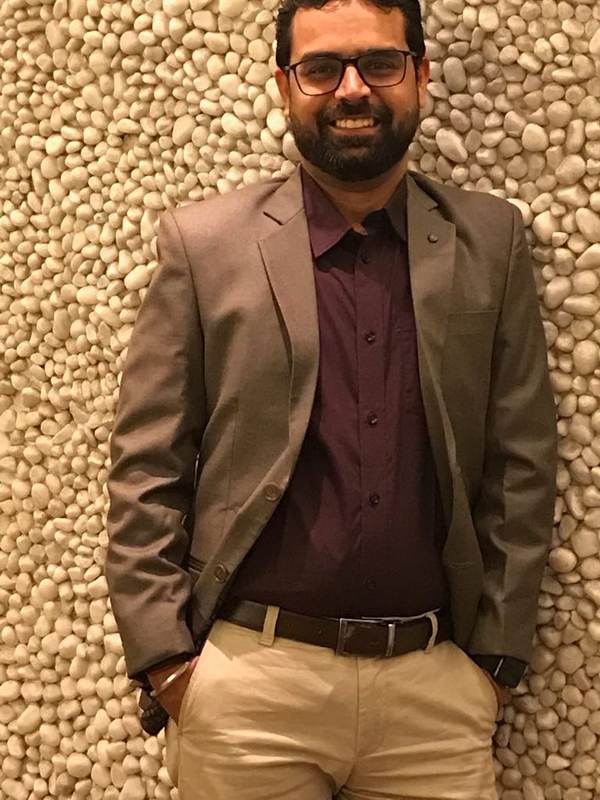 Vamshi Krishna Boga has been project manager and BI solutions architect of SalientCRGT since 2009.He is results oriented and dynamic leader with great acumen for business, ability to build team cohesion and inspire individuals to strive towards even higher levels of achievement. with many years of proven experience and delivering business intelligence solutions with small to Fortune 50 Company size enterprises. He has exceptional client relationship management skills and the ability to relate and interface easily with all levels in a business.He has excellent interpersonal and communication skills, goal-oriented with a commitment to continuous quality improvement and technology/business alignment. He demonstrated an excellent performance as a manager, team leader, administrator and active member of implementation teams responsible for logical flow, system flow and maintenance in different production environments with a complete systems development life cycle (SDLC) processes (Waterfall, Spiral) and Agile Software Development (Scrum).He has a strong technical background on Databases, Data Analysis, Computer networks, operating systems and software engineering concepts. Sinko Choy has over 20 years experience in technology solutions sales and marketing management. He joined PCCW in 2015 and currently the SVP of Client and Market Development leading the sales, solutions consulting and marketing for PCCW Solutions. CEO and Founder of one of the fastest-growing software development and digital marketing companies in Australia, Abdul founded Purplesoft Technology after completing his masters in Information Technology. Since then, the company has helped hundreds of businesses all over Australia in their Digital marketing, and is now creating its own software projects and mobile applications. Abdul firmly believes that it is not the strongest who survive but those most responsive to change. He constantly updates himself with new ideas around technology and implements them to improve the efficiency and bring innovation into the company. Abdul recently bought two more tech companies‚ and he credits his success to dreaming big and hard work. Dr Ambika Hanchate a founder president of Jana Mana foundation and known as education expert across the globe ,she has well experience in the teaching filed ,marketing ,technology ,application in social media for that she selected since 2018 to till more than 9 intentional panel to became jury .Her wish is to to do something different in education and do well work for learners via E tutor . For that she started her own E tutor institution as SHIKSHANA SPOORTHI .In her just 32 year received 4 honor doctorate ,became nominee for 125 awards and made 8 world records. 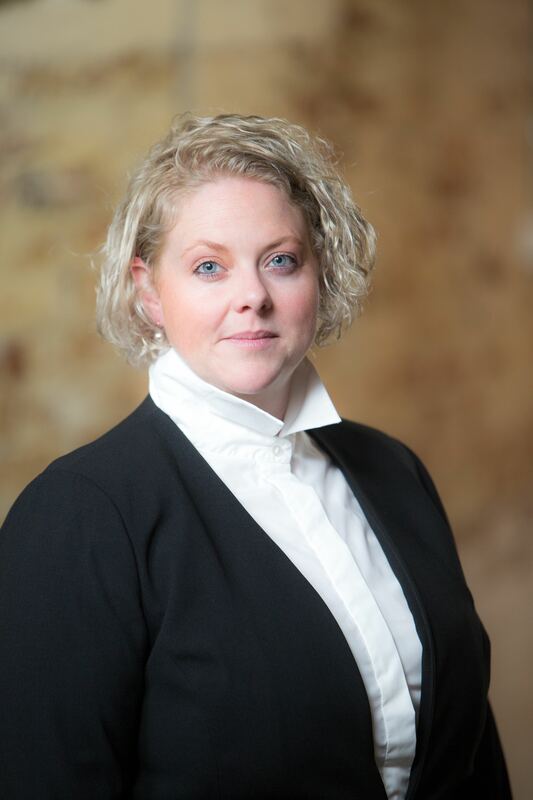 Jillian Hamilton is the Managing Director of Manage Damage, a global risk management advisory firm. Following her extensive career across many industries, Jillian saw the need to approach safety and risk in a different way. Her extensive knowledge of health and safety has seen many businesses save millions of dollars in damage costs. As a well-connected game changer, whose mission is to raise the profile on risk and safety within the workplace, Jillian’s main goal is to make customers self-sustainable so that they can stand on their own as quickly as possible. Her strong leadership skills and innovative ideas have led to her becoming a valued thought leader within the industry. Jillian works for the International Association of Industrial Accident Boards and Commissions (IAIABC), where her mission is to promote engagement and understanding of work, health, safety, and accident compensation programs around the world. She is also on the board of The Compassionate Friends Queensland Inc., a not-for-profit from Australia, as well as the board of The Uganda Foundation, based in the United Kingdom. Jillian was an international speaker at the XXI World Congress on Safety & Health at Work 2017 in Singapore for the launch of Vision Zero. She also spoke at the Nigeria Lagos Vision Zero Conference. Jillian was the organizer of Vision Zero for Australia and has been recognized as a Vision Zero Profile. 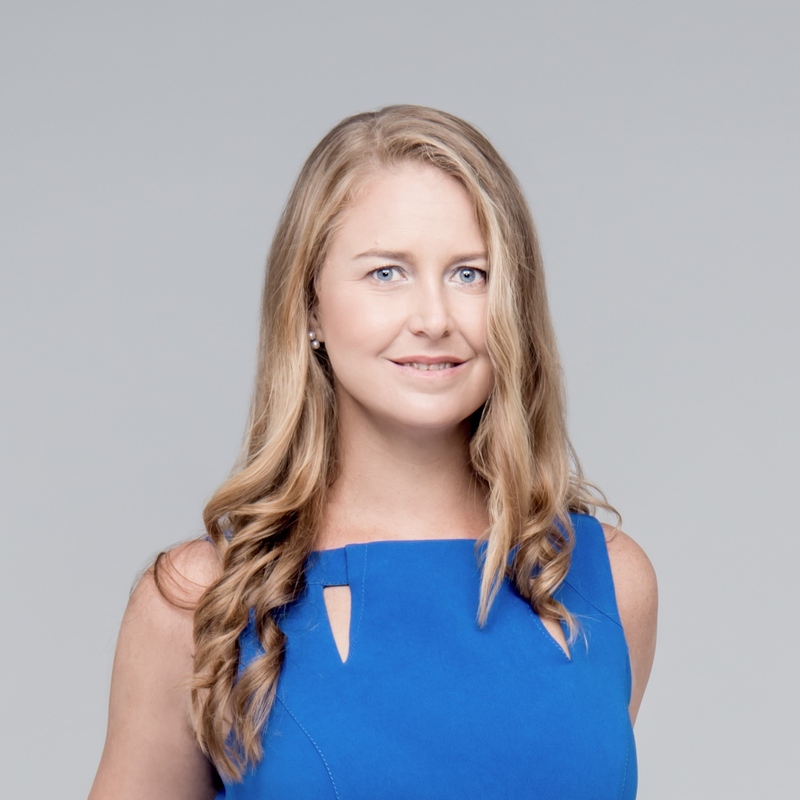 Jillian has an impressive academic background with a Post Graduate Diploma in Occupational Health, Safety and the Environment and a Bachelor’s Degree in Natural Resource Economics. Jillian has studied all the key skill sets for risk, ranging from ergonomics, economics, and ecometrics to environmental law and politics. HR Manager with over 7 years of experience in Leadership, and Management in Europe and U.S.A. In addition to, Certified Career Coach , Certified Exceutive Coach , Certified Life Coach , Time Management Coach , and Certified Human Resources Consultant. Taufik A Armaputra is Budget Controller for PT Petrokimia Gresik, the biggest state-owned fertilizer manufacturer in Indonesia. His expertise includes finance, sustainability reporting, and public-policy advocacy. A multiple awards winner for his innovation activities. Currently, he contributes articles for iuventum newsletter and also co-author a book about Food Security. With more than eleven years of consulting and process improvement experience in software development, and deployment for manufacturing and distribution businesses, Ravi has proven to be an invaluable resource providing oversight during ERP selection and implementation projects. Ravi is distinguished by his passion for service, his focus on collaborative team building, and his commitment to meeting client demands. Ravi is certified in SAP Production Planning Control and Quality Management areas. He also has certification in Scrum Master and ITIL v2.0. In his early years, Mars Cacacho was dubbed as North Philippines' Young Alchemist by Intel's International Science and Engineering Fair, United Nations Environment Programme, United Kingdom's Global Youth Awards and Japan's Students Science Awards because of his contributions to Science and Technology. With an innate passion to serve, he was awarded as one of the Ten Outstanding Youth Leaders (TOYL) of Tuguegarao City in 2003. He was also granted a Presidential Merit as one of the Ten Outstanding Students of the Philippines (TOSP) in 2008. Finishing with a Double Degree in Bachelor of Science in Computer Science and Bachelor of Science in Information Technology, he taught as Part Time Instructor in St. Paul University Philippines from then on prior to spending the next decade of his career in the Cyber Security industry. He ended his 6 year stint with Global Antivirus Giant Trend Micro as a Virus Coordinator in 2015 and is now working for the Department of Education as an Information Technology Officer whilst juggling his private Consultancy and Security Audit posts. He frequents IT Conferences and hoped that one day he'd attend such grand conferences in his hometown, an inspiration which brought HackTheNorth.ph - a non-stock and non-profit organization which brings the Elite IT Conferences to Northern Philippines and TCON (Tuguegarao Consortium - the only IT Security Conference in Northern Philippines) to life. Since its inception in 2014, Hackthenorth.ph has already served thousands of Tech students and professionals in Southeast Asia through its events, university tech talks, and hackathons. Working closely with Innovations, Mars was recently cited as his region’s Rainmaker lead adviser on Startups by the Department of Information and Communications Technology. A Microsoft and IdeaSpace Ambassador, he was also awarded as one of the Pamarigans (Role Models) of his hometown. With more than 25 years in food development industry, Morris Gheeyong Awarded by the industry in the EU, USA and Asia, he establish better practices in the food and baking industries. Has over 20 years leadership experience in HR, Administration, Training, Operations, Facilities and General Services. Experience culled from the telecommunications, BPO, semiconductors, IT, pharmaceutical and the mining industries. Resource speaker on career counseling, succession planning, workforce planning, workplace diversity, and organizational transformation. Articles and/or interviews have appeared on Good Housekeeping, Ladies Home Journal, Cosmopolitan magazines, the Philippine Daily Star, Manila Bulletin and Business World newspapers, on Studio 23 TV, and on Bloomberg. Danny Maher is a highly successful and awarded tech entrepreneur. Mr. Maher serves on numerous boards including being Chairman of the Gold Coast Innovation Hub, Chairman of Opmantek Software and Chairman of Gold Coast United Football Club. Rishit Mishra is a Manager in the PwC - Digital Risk Solutions practice. For over 9+ years Rishit has been leading, delivering and managing a diverse range of multinational SAP security and GRC Access Control projects for Fortune 100 clients across various industries. Rishit’s project experiences include: SAP Security Design/Redesign, SAP GRC-AC implementations, SAP Security/GRC Assessments & SAP Security Remediation. Rishit’s experience includes catering to a wide array of clients in the Energy, Industrial Products and Consumer Products industries. Rishit holds a Masters degree in Management Information Systems from Texas A&M University. Shadiya Mohamed Saleh Baqutayan is a Counseling and Clinical Psychologist with a PhD (Psychology) from Universiti Kebangsaan Malaysia, a Masters in Counseling and Clinical Psychology from International Islamic University, and a Bachelor’s Degree in Psychology from International Islamic University. She also has professional memberships from the American Psychological Association, Malaysian Association of Psychotherapy, American Association Of International Researchers, STI Policy Evaluation Course at Manchester Business School, Asia-Pacific Chemical, Biological& Environmental Engineering Society, UTM Perdana-ISTIC Professional Certificate of STI Policy Management, Professional Counselor (Practitioner) Malaysian Association of Psychotherapy (MAP), and Editorial Board of Peshawar Journal of Psychology And Behavioral Sciences, Consulting Editor. She has done research at nationa and international level, and from this research she has published more than 90 papers with 256 citations. Technology Leader with responsibility for shaping Intueor’s technology products, solutions and services to in a way that maximizes business value for Intueor clients; responsible for IP creation, customer engagement with new product ideas, product sales, competency and capacity building specializing in the areas of Enterprise Architecture, Technical Architecture, Business Architecture, Application Architecture, SOA, JEE/Java, Security, Modeling and Performance Engineering. Sachin Patil is currently working on projects in composites, FAA 16g sled test validation, constitutive material modeling, and crashworthiness studies for EV. His background is predominantly in Mechanical/Aerospace/Automotive Engineering but he has an obsessive interest in pretty much everything. He writes on a broad variety of subjects, ranging from applied mechanics, automotive safety, and electronic packaging for battery systems to renewable energy. Sachin has authored scholarly articles in the design, impact analysis, and friction stir processing in professional as well as major trade publications. Shefali is an enterprising leader who partners with C-level executives to deliver technology led business transformation program; develops and mentors high-performing teams. Veda Vaddadi is an SAP Consulting Professional with 20 years strong industry experience, which includes 14+ years of exclusive SAP consulting and IT work supporting complex applications for global clients in an Onsite and Offshore delivery model. Adepts at business process consulting, project management and delivery of large scale and complex SAP deployments and outsourcing deals. Has deep industry experience in Professional Services, Manufacturing, Construction, Utility, Oil & Gas, Chemicals, Automotive etc. in implementing SAP solutions for global cutting edge technology companies in the United States, Middle East, Europe and in India. He is a Subject Matter Expert and SAP Project System Solutions Architect with significant experience implementing Commercial Project Management, Contract to Cash business process (C2C) and Procure to Pay (P2P) integration work. Veda holds an MBA from the Indian Institute of Technology Delhi, India and a graduate in Architecture and Construction Management. Katrina Wilson in an international author, business and process administration specialist and founder of The RUGBY Mindset. She has worked across Australia, the United Kingdom and Asia - delivering on billion dollar projects. Katrina Wilson is founder, creator and author of the RUGBY Mindset and Quality Review and lives in Queensland, Australia. Ketchum is a global communications consultancy built to scale to any and every need. A trusted partner that is equal parts creative and analytical. In Greater China, Ketchum has created a team designed for the modern communications environment. Eunice Wong is Ketchum’s Chief Growth Officer for Greater China markets. She is a senior strategist with a stellar track record implementing business results-oriented, multi-channel communications in Greater China and beyond. Her comprehensive marketing experience stretches from traditional to digital marketing, covering communications, product development, market development, data application and business strategic planning. Her achievements have earned her recognition as Greater China Strategic Planner of the Year, Greater China Marketer of the Year, APAC Account Servicing of the Year, Hong Kong Distinguished Marketer, and nearly 200 marketing and communications awards. She is also an active judge in international marketing awards like the Stevie Awards, London International Awards, and Effie Awards, and is a popular speaker in universities on marketing. Before joining Ketchum, Eunice was Chief Strategist at McCann & Spencer, CMO for Touchmedia Group and South China Media Group, Managing Director at McCann Erickson Shanghai and at Hachette Filipacchi Taiwan, Director of Marketing at Pizza Hut HK/Macau/Vietnam, and Vice President for DDB Worldwide in Taiwan/HK and for CitiCorp Asset Management Asia. She is also a Fellow Chartered Marketer of The Chartered Institute of Marketing, and gained her Master’s Degree (First Class Honors) in Strategic Marketing from the National University of Ireland (University College of Dublin). Vishwas Anand is an award-winning Content Thought Leader working as Content & Thought Leadership Chair, CRL at the newly opened Infosys Knowledge Institute as India's first external member. He holds an MBA from IIM Kozhikode and is rated one of "The Greatest Marketing Influencers" by ET Now and The World Federation of Marketing Professionals, among the "Most Influential Content Marketing Professionals" by the World Marketing Congress & CMO Asia (Two-time Awardee), and is on LinkedIn Content 50 (India's Top 50 Content Marketing Leaders for 2018), Oracle FAST 100, Adobe Content 100 among others. He is a DMA Asia ECHO jury member, a part of the International ECHOs. Vishwas is a Keynote Speaker and IDG Influencer, and has been interviewed as: the Voice of Content Marketing for the Digital Dexterity Report 2019, a Thought Leader for the Red Book of Content Marketing 2018, a Brand Master by the Hindustan Times, an Influencer by WittyPen, and his 3A Content Model has been featured by a Forbes Columnist. Expertin für Vertriebsmarketing und Gründerin der Agentur Eskimos mit Kühlschränken. Mit über 15 Jahren internationaler Berufserfahrung in PR, Kommunikation und Vertriebsmarketing sorgt sie dafür, dass Unternehmen nicht mehr Zeit und Geld mit Kaltakquise verschwenden, sondern Budgets zielgerichtet und mit Return on Invest eingesetzt werden. Simone Brett-Murati war in verschiedenen Führungspositionen tätig unter anderem bei TA Triumph-Adler sowie in verschiedenen PR-Agenturen. Fleire Castro has been the managing founder of Third Team Media, a boutique social media and digital agency since 2010. She has a decade of experience in digital marketing as a full stack marketer. She is also passionate about startups, entrepreneurship, and advocacies. Viya Chen is the Chief Academy Officer of Points of You in Taiwan. A creative strategic Professional Certified Coach and the founder of StrengthsBusiness Singapore since 2011. She has more than 20 years experience in senior leader role, including top 10 most valuable global brand as VP and senior director in APMEA region. Edward, a Hongkonger, started working in China since 2013, in which he joined FCB, Publicis, isobar and Ogilvy. In October 2018, he took up a leading role at Oliver Agency, a leading international in-house advertising agency network, for the client of Reebok Greater China and APAC. At 8 years old Lauren was told she had ‘word blindness’ and would never be able to read or write properly, yet she went on to become a five-time bestselling author and International Stevie Award Winning Neurobranding expert, using her dyslexia disability as her greatest asset - helping others understand how the brain sees brands. Lauren has over 25 years in brand management and is the owner and director of award-winning Personal Branding Consultancy, Ultimate Business Propellor helping hundreds of entrepreneurs around the world to create stand out personal brands. In 2017 Lauren was awarded 2017 International Women In Business Entrepreneur Of The Year at the prestigious Stevie Awards in New York and regularly speaks at international summits and events. Pratik studied Aviation and ended up in Advertising 6 years back and all this while it's been a great flight for him. Pratik believes that being an Advertiser his most important aim in life is to fuel his curiosity. Being an early achiever he considers ownership to be one of the most important skills in any individual. Pratik is also regarded as Indian Digital Industry’s fastest award winning persona having collected over 60+ awards in last 5 years. Sandeep has more than 15 years of experience in Advertising and Communications, primarily in the content development and visual communications & brand building space. Stories have always fascinated him and he firmly believes that he is the long lost colonial cousin of the caveman who narrated the stories during the Stone Age. His passion for storytelling is hardwired into his DNA and Sandeep’s strength lies in deriving meaning out of complex concepts and telling stories in simple narratives and powerful imagery through creative communication channels. In his prior stint in the corporate environment, he has worked across a gamut of operational areas and has written, produced and directed various campaign and brand films for various brands. As part of the core team, he also lead the ‘150 Year Celebrations’ advertising campaign for a reputed French multinational brand that spun across different geographies and collaborated across diverse cultures. He has a flair for film screenplay writing and has conceived and crafted content for feature films and digital series which are in the pre-production stages while also researching on his documentary titled ‘Negative Cutters’ based on the fading art of manual film editing in the bygone era. Currently, as Head of Campaign for India Operations, Sandeep oversees the Social Media Campaign for a health care initiative sponsored by Hollywood Health and Society and also contributes as a Digital Campaign Advisor to an NGO ‘The Hands Of Hope Foundation’. Brian Arthur has been an active member of Chiang Mai Toastmasters for 3 years and has held the positions of Club Vice-President for Public Relations for two years before being elected as Club President. He has recently been appointed as District Public Relations Manager of Toastmasters District 97 which covers the countries of Thailand, Vietnam, Laos, and Cambodia. Brian has a bachelor's degree in Broadcasting and a Post-Diploma in Teaching. His past job experiences include managing a radio station, marketing personal care products, and managing events. He's currently employed as en EFL teacher at the Prince Royal's College in Chiang Mai, Thailand. Brian has been judging the Stevie Awards since 2014. Vonj Tingson is the President of PAGEONE Group and has more than 20 years of experience in marketing, digital, PR and advocacy gained from top 100 companies in the Philippines. Under his leadership, PAGEONE generated multimillion-dollar accounts and has won more than 100 metals in the Philippines, Hong Kong, Singapore, Tokyo and Vancouver. Charles White was born in Vienna, Austria, in 1948. 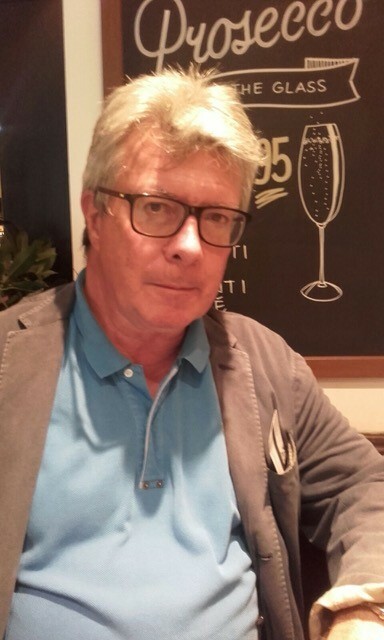 Educated at Balliol College Oxford and Oxford Polytechnic, he joined the Derbyshire County Council Planning Department in 1974 before moving to Corporate Planning in 1976. After a spell at Wandsworth London Borough Council he moved to the European Commission in Brussels where he spent the rest of his career in research project management, communications, and relations with third countries. He retired in 2013 and is now an external expert in the fields of urban and regional policy. Doyle Yoon is an associate professor in the Gaylord College of Journalism and Mass Communication at the University of Oklahoma. His research focuses on brand experience, customer relationship management, and virtual reality study. Natalie Yuen is currently Associate Director, Corporate Affairs of FrieslandCampina (Hong Kong) Limited overseeing a wide spectrum of functions including Public Affairs, Crisis Management, PR and Communications, CSR, Consumer Affairs, Regulatory Affairs and Legal Affairs. Natalie has over 15 years of experience in Public Relations and Communications. Weon Gi Choi has worked with the multinational business conglomerate, Lotte Group, since 1988. He has held posts such as Team Leader of Lotte World Adventure Attraction Development; Concurrent Department Manager for Lotte World Adventure VR Development; Senior Managing Director of Lotte World Adventure Attraction R&D (a position he still holds); and he is now Senior Managing Director of Lotte World Seoul Sky. Before joining the Lotte Group, Weon Gi served as a sergeant in the ROK Army 35th Infantry Division for three years. He is currently studying for a Masters in Business Administration at Kyunghee University in Seoul. Eunice Wong is a senior strategist with a stellar track record implementing business results-oriented, multi-channel communications in Greater China and beyond. Her comprehensive marketing experience stretches from traditional to digital marketing, covering communications, product development, market development, data application and business strategic planning. She is also an active judge in international marketing awards like the Stevie Awards, London International Awards, and Effie Awards, and is a popular speaker in universities on marketing.